Additional Info: Glenn has recently published a new trombone method, "The Well-Tempered Trombonist, A Guide to Tonal and Aural Mastery", available at Amazon.com (see description of book on Amazon site, or in Forum on this site). Glenn taught instrumental music at the secondary level for twelve years, directing superior-rated concert, marching, and jazz bands. He taught trombone, music theory, jazz band, and music technology courses at Cumberland University in Lebanon, Tennessee. At Tennessee State University, he taught trombone, music theory courses, music history, and jazz combo, and at the University of North Texas, he taught jazz improvisation as a graduate student working with the late Rich Matteson. 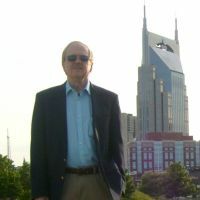 Mr. Martin has also taught hundreds of private students in the schools of Middle Tennessee and North Texas. Mr. Martin received his M.M., Music Theory-Composition, from University of Louisiana at Monroe, and a B.S., Music Education from Tennessee Technological University. He also did postgraduate work at the University of Georgia and the University of North Texas.